Available in 0mg,3mg,6mg unicorn bottles. Beard Vape No. 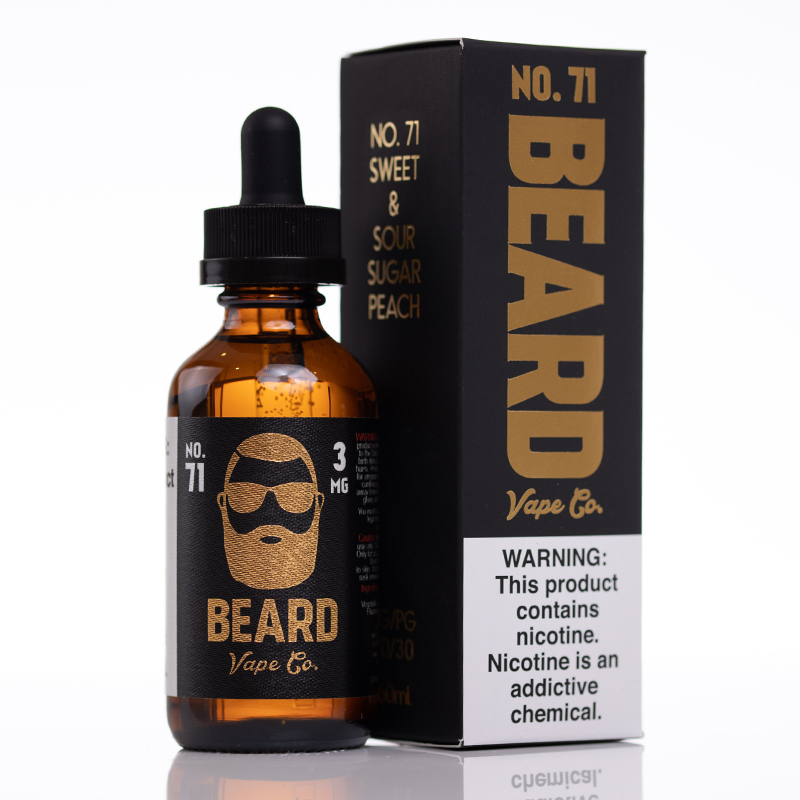 71 E-Juice is a tasty treat that will delight your taste buds with an incredible sweet-n-sour sugar peaches flavor. This 70/30 VG/PG vape juice offers a great combination of ingredients that works great in any tank or dripper, creating solid clouds and a wonderful fruit flavor that you will have to taste to believe!